The holidays are one of my favorite times of the year when it comes to cooking. 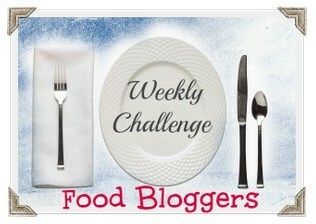 So many yummy treats, hearty dinners, and cooking large meals for my extended family. I just recently, after years of wanting, got my very own Kitchen Aid Mixer and I was SO excited to make something amazingly delicious with it and my husband requested something with lemon in it. 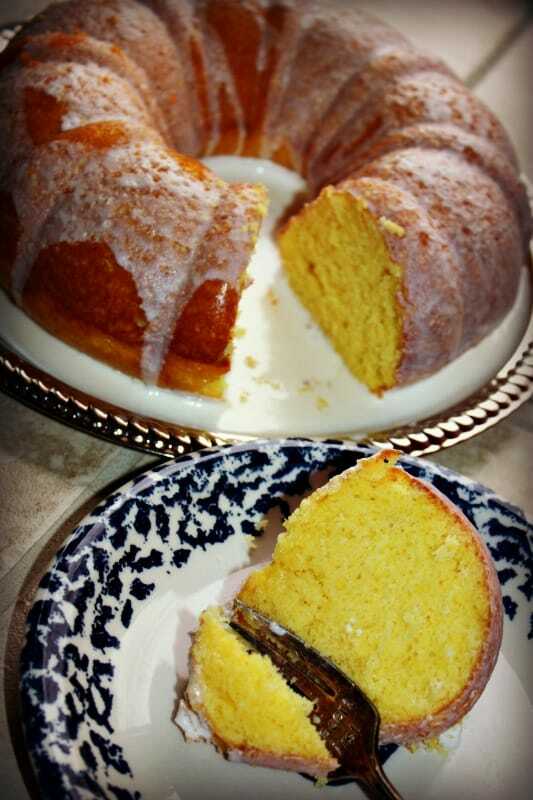 So I got to thinking about a recipe I’ve used before for a Super Moist Lemon Bundt Cake. This cake is oh so moist and light, but decadent once you add a cream cheese icing on top. Hungry yet? Let’s get started! First, Preheat your oven to 350 degrees. Grease a bundt pan really well and set aside. In a small bowl mix all of your dry ingredients and add to a stand mixer (you could also hand mix). 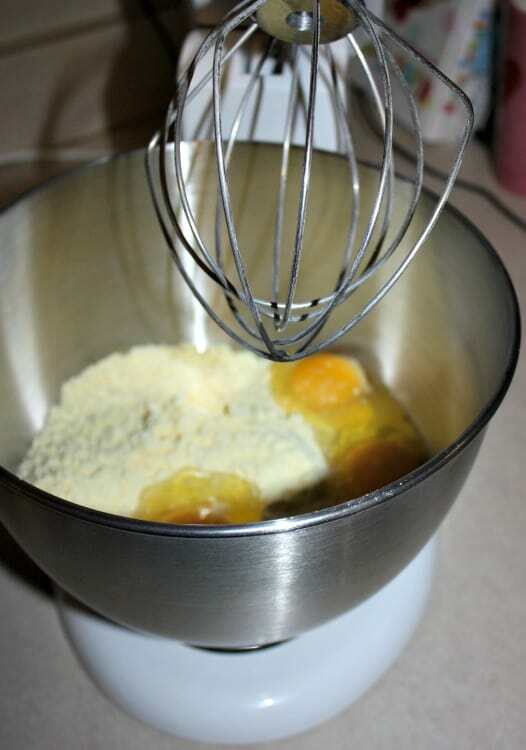 Next, add your wet ingredients and butter to your mixer and mix until combined. 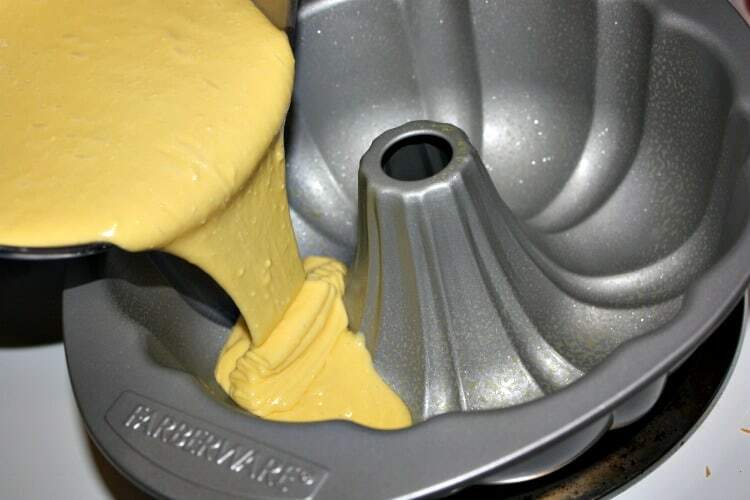 Then, add your cake batter to your bundt pan and bake in your 350 degree oven for 28-33 minutes. Then, after your cake has cooled flip your pan upside down and gently tap to remove your cake. 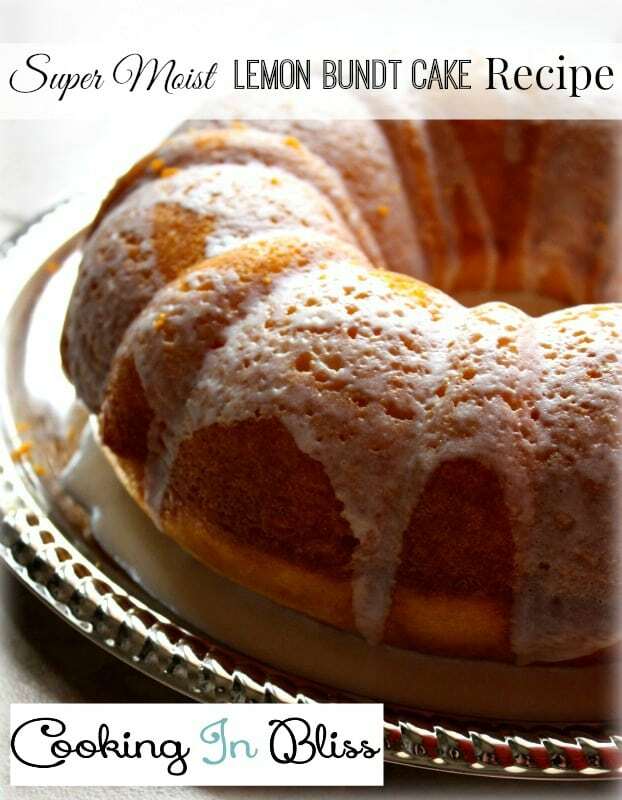 Pour your cream cheese icing over the top of your cake and let soak. (You could make your own icing or you can throw some store bought icing into the microwave for about 30 seconds to acquire the pourable consistency). Slice and enjoy! This was a a big hit with my family and I plan to make another one for our Christmas dinner. It is SO yummy and light, perfect for a holiday treat.